Originally released as Dos Amigos in 1988, the tracks were reissued with a new cover, liner notes and track sequence. For over four decades, the legendary piano-team of Arthur Ferrante and Louis Teicher has been praised worldwide for its sweeping, live performances and imaginative recordings. The couple first met as six-year-olds and sparked a friendship that lasts to this day. After attending the Juilliard School in New York, they joined forces and signed with United Artists as the Twin Pianos. Their first major hit was the theme to the 1960 film The Apartment, starring Jack Lemmon and Shirley MacLaine. Subsequent hits included themes from One-Eyed Jack (1961), Lawrence of Arabia (1963) and Anthony and Cleopatra (1963). To date, Ferrante and Teicher have been heard in over 4,300 concerts and on nearly 185 records, 22 of which have gone gold. Whether appearing with a symphony orchestra, brass band or choral group, the duo consistently delivers bravura playing with a delicious sense of humor. 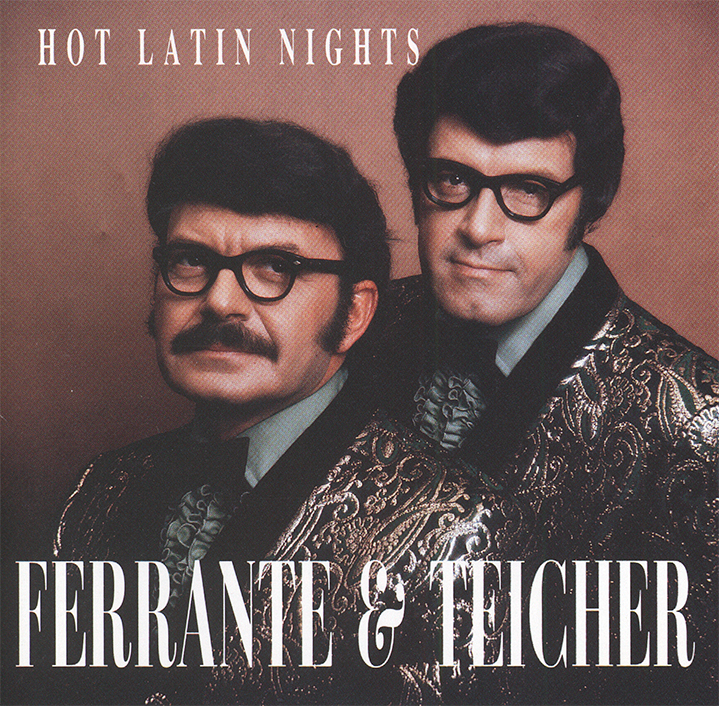 Hot Latin Nights is further testimony of Ferrante and Teicher’s fiery, virtuosic style and timeless, universal appeal.